The Taiwan Weather is basically tropical in the southwest region of the coast in Taiwan. The climate of Taiwan is temperate in the mountains and north region of Taiwan. 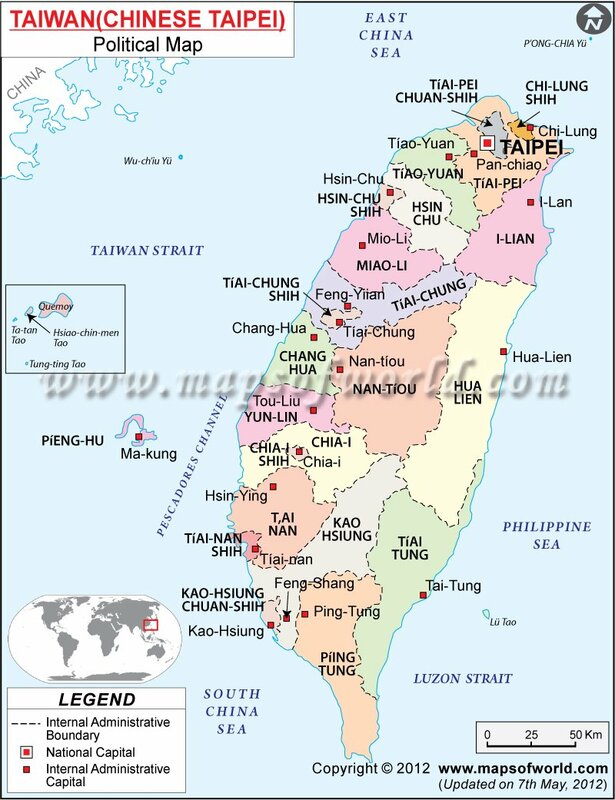 The average temperature in Taiwan ranges from 21.7 degrees Celsius to 24.1 degree Celsius this comprises both the regions of north and south in Taiwan. The humid and war climate of Taiwan helps in the growth of various species of floras on the island. It is also a perfect living place for the rare species of faunas. Summer is generally hot and humid in Taiwan. The summers in Taiwan face typhoons and hot wind gusts. The temperature in the summers shoot up to 27 degree Celsius during the summers. The spring season in Taiwan is however warm and soothing and comprises frequent rains throughout the season. The winters in Taiwan are mostly chilly and have biting cold. The dampness during the winter also enhances the chill of the weather in Taiwan. Snowfall during the winter is not uncommon in the higher regions of Taiwan. The best time to visit Taiwan is during the autumn season. Being the driest time of the year it provides all the suitable climatic conditions for traveling long distances.